Please join us in the Trillium Court for another edition of our Songs & Stories program. 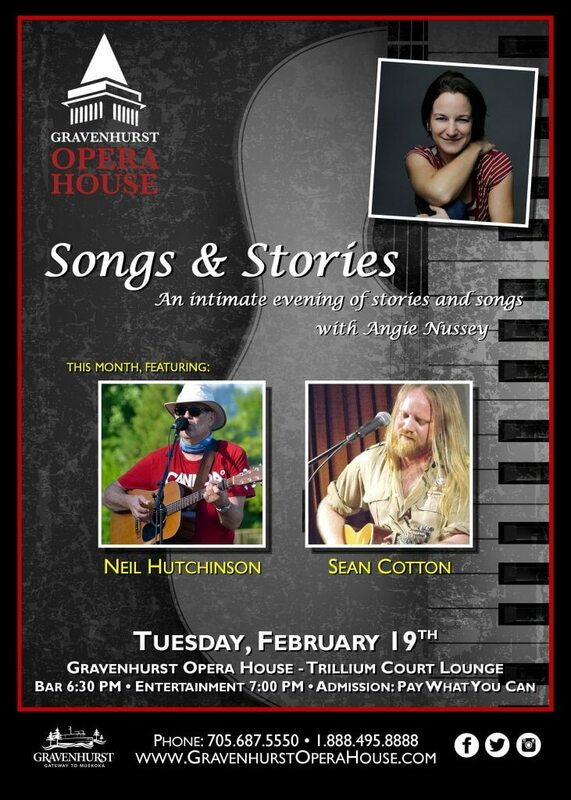 This month we are pleased to welcome Neil Hutchinson and Sean Cotton to the Opera House accompanying Angie Nussey! This intimate evening of storytelling and song has become a hit with the community and we’d love to share the experience with you.